This 50 minute session is aimed at regaining your mobility while slowly building strength and reawakening the power of your 650 muscles. This class has a slower pace than our general Essentrics sessions. It is designed for those who have atrophy-related stiffness, frozen shoulder, chronic aches and pains, or who are beginning to exercise after a long sedentary period. 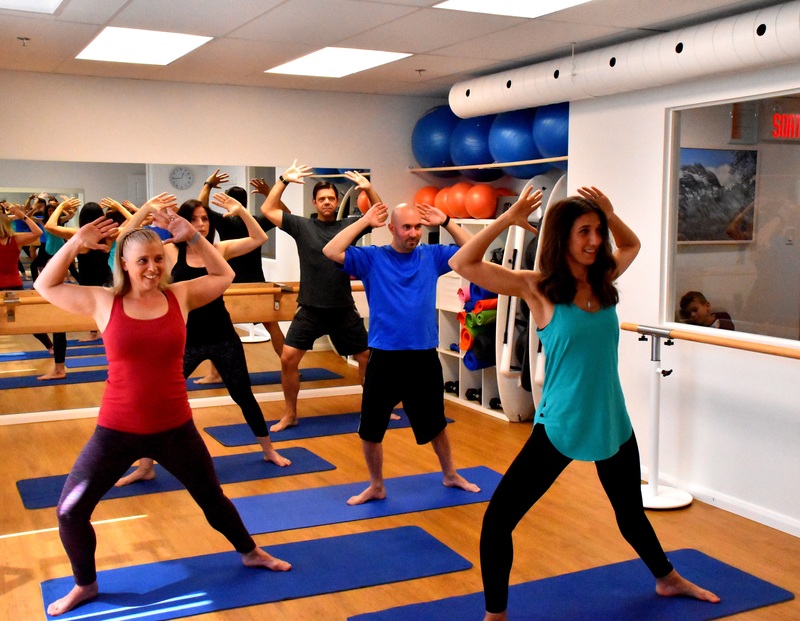 For men and women of all ages who are looking for a gentle, slow tempo class. Full body workout that rapidly changes the shape of our body through a dynamic combination of strengthening and stretching. The technique created by Miranda Esmonde-White in the years 1990 develops lean, strong and flexible muscles with immediate changes to your posture. Perfect for men and women of all fitness levels, this program rebalances the body, prevents and treats injuries and unlocks tight joints. With a diverse music playlist accompanying each routine, this equipment-free workout leaves you feeling energized, youthful and healthy.